Where can those looking for a critical understanding of Lenin turn? How can we better understand how the Russian Revolution began as the first modern anti-capitalist revolution from below with workers taking over and running their workplaces, peasants seizing the land, and the creation of democratic soviets (worker committees)? And then in less than a decade its devolution into the brutal dictatorship of Stalin? Is there a continuity between the ideas of Lenin and his particular brand of Marxism that reshaped the Marxist movement in the 1920’s and the number of revolutionary parties that would later achieve state power and claim the Bolshevik party and Lenin as their model and inspiration? This is a piece that was originally posted to Machete 408 by Adam Weaver. It is a review/summation piece, which is released in conjunction with a piece by Scott Nappolas which presents an extensive discussion of Lenin’s concept of democratic centralism. See Democratic Centralism in Practice and Idea: A Critical Evaluation by Scott Nappalos, now published by Zabalaza Books. Little known and barely circulated now over two decades since publication in 1988, A Look At Lenin by Ron Taber is perhaps the only systematic and thorough critique of Leninism as examined through the writings and work of Lenin and the Bolshevik party. For this reason it has been a favourite of mine since I picked it up as a teenage reader of the late Love and Rage magazine. When I came across the book I was someone struggling with and questioning my relationship with anarchism at the time and looking in other directions such as the Leninist tradition. While Taber’s piece did not answer many of the larger political questions I was grappling with at the time (no matter where I’m at politically I don’t think that itch will ever go away), it did help me think deeper about Leninism as a tradition as well as with understanding better the problems I saw in many Leninist inspired political organisations that I was beginning to come into contact with at the time. What is most useful about the piece is, in the words of one review, it “attempts to draw explicit links from Lenin’s theory to Bolshevik practice.” Taber is well suited to take up this task as a past leader of the Revolutionary Socialist League or RSL (1973-1989) which emerged out of the Trotskyist milieu of the 1960’s. 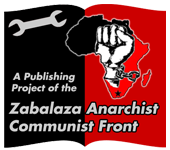 Over time Taber and other members of the RSL steadily became more critical of Leninism and the Trotskyist tradition and by the time of RSL’s dissolution on 1989 a number of members had moved over to anarchism and went on to participate in the founding of what became the Love and Rage Revolutionary Anarchist Federation active throughout the 1990’s. The short booklet was first published as a series of articles in RSL’s publication The Torch and after being published in as a book went on to be distributed by Love and Rage members. What follows is a summation of the key points of each chapter with a healthy dose of direct quotes. All quotes from Lenin or other source writings by Bolsheviks appear with indentation. Moving onto Lenin’s conception of the relationship between political organisation, the larger working class movement and revolutionary consciousness, the second chapter “Party, Class and Socialist Consciousness” draws largely from Lenin’s most influential piece What Is To Be Done? The source, repository and guarantee of socialist consciousness are socialist intellectuals/the revolutionary party, not the working class. What ultimately matters, in terms of a socialist revolution, is that state power is seized by the revolutionary party; the bottom line of what constitutes socialism/the dictatorship of the proletariat is that the state is ruled by a revolutionary party. Here Taber puts forward his criticism of the ethos or what we might today call the internal culture of the Bolshevik Party in three aspects: the cult of the “hards”, the adoration of centralism especially in regards to the economy, and the willingness to use brutal and harsh methods. According to Taber the ethos of the Bolsheviks was defined by what he calls “the cult of the ‘hards’” (p. 37) in which they contrasted themselves the tough, strong, skilful, who acted with “iron discipline”, were more proletarian, more politically radical and had a greater willingness to use violent tactics in comparison to the “softness” of the Mensheviks in working in underground and repressive conditions, who were also seen as less radical, and more prone to political vacillation. He notes that the Bolsheviks referred to themselves as “the hards” and their signature dress was black leather jackets and coats. The danger that Taber identifies with this culture revolves around power, as “had ‘hardness’ remained a question of individual style or attitude … a cult of ‘hardness’ might not amount to much. What makes a cult of ‘hardness’ in political organisation potentially dangerous is the possibility that it becomes part of a state ideology.” (p. 40) A major weakness of this section of the chapter though is, unlike the rest of the book, we are left to take Tabor on his word as it is presented completely without sources or references. Next Taber takes up the relationship to the principle of centralism and economic planning which he asserts the Bolsheviks “revered” beyond the immediate needs of operating clandestinely. “The Bolsheviks saw the capitalist factory, run on a centralized basis, as a progressive institution, technically speaking. Lenin, for example, constantly held up the highly centralized and hierarchical German postal system and German industry as a whole as an example for the Russians to adopt. This, after the October Revolution Lenin defined the creation of a highly centralized economic apparatus as a major goal of the Soviet state. …it must be said that large-scale machine industry – which is precisely the material source, the productive source, the foundation of socialism – calls for absolute and strict unity of will, which directs the joint labours of hundreds, thousands and tens of thousands of people. The technical, economic and historic necessity of this is obvious, and all those who have thought about socialism have always regarded it as one of the conditions of socialism. But how can strict unity of will be ensured? By thousands subordinating their will to the will of one. Written during the Russian Revolution itself in the summer of 1917, The State and Revolution is often cited as being Lenin’s most important as well as libertarian work where he puts forward a vision of a communist society, direct worker control and the ultimate goal of the withering away of the state. In this chapter Taber challenges these ideas and perceptions of The State and Revolution around the points that Lenin’s vision of the state withering away relies on first building up the state along hierarchical and bureaucratic lines with a limited vision of workers’ control. How the transition from the newly built centralized state to the withering away of the state is not outlined in Lenin’s vision though. Rather the elimination of the state is simply presented as part of the ‘historical process’ which Taber sees as rooted in the Hegelian notion of history as “since the theory declares that the ‘logic’ of this essence, purpose and historical direction is that the state will eventually be eliminated, ‘negated,’ ‘transcended’ via a ‘dialectical’ (apparently contradictory) process, this is what will inevitably happen.” (p. 57) But as the history of actual states where communist parties came to power shows, this is anything but the case. First is the fact that although Leninism advocates the establishment of a stateless society, it not only proposes to use the state to achieve this goal, it sees the use of the state as the main way to accomplish this. Not least, although this state is said to be a proletarian state, a dictatorship of the proletariat, it is to be structured, with relatively minor exceptions, along hierarchical and bureaucratic, that is, capitalistic, principles. Given this, is it any wonder that the outcome of the Bolshevik Revolution in 1917 was not classless, stateless societies, but monstrous, class divided, state-dominated, social systems? The second state capitalist tendency within Leninism that I believe to be decisive is its advocacy of coercive, ruthless methods. While some kind of armed force/coercion is inevitable in almost any revolution, Lenin almost revels in it: the need to be ‘ruthless towards our enemies,’ ‘not to shrink from the most ruthless measures,’ to ‘shoot and shoot and shoot some more.’ Since morality lies within, is immanent in, history, that is, morality finds its fruition in the outcome of history (as Marx, following Hegel, argues), there is no need to act morally, there is no morality, in the sphere of politics. But outside of Marian/Hegelian (or any other comparable) metaphysics, how can moral neutralism lead to a more moral society? It can’t and hasn’t.